A security researcher has compiled a ransomware removal and rescue kit to help victims deal with ransomware threats and unlock encrypted files without paying off a single penny to the cyber crooks. Ransomware is a growing threat to the evolution of cyber criminals techniques in an attempt to part you from your money. Typically, the malicious software either lock victim’s computer system or encrypt the documents and files on it or in some cases both, to extort money from victims. Most often ransomware victims end up paying off crooks either due to the threat of losing their important files or in panic as the threat pretends to be from some government agency. 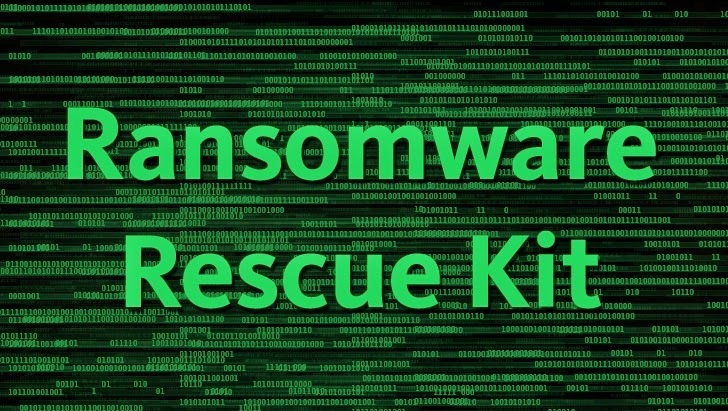 Though IT professionals and security companies have been dealing and fighting back with the ransomware threats, security professional Jada Cyrus has compiled a "Ransomware Rescue Kit" or "Ransomware Removal Kit" and made it available for free online. The Ransomware Malware Removal kit supports decryption tools for different strains of ransomware variants along with instructions on how to perform the necessary tasks. "You should never pay the ransom," Cyrus says. "This will only reinforce this type of attack. According to most security intelligence reports, criminal enterprises are already making large profits from ransomware." Cyrus encourages system administrators and IT professionals not to pay the ransom to the cyber criminals. Instead, they should first remove the infected machine from the corporate network to prevent the spreading of malware. Once this is done, the users should then attempt to identify the type of ransomware their machine is infected with. They should take images of the encrypted box before removal for later analysis. Once the type of ransomware is identifiable, you have the above option to try and decrypt files and remove the ransomware threat from the infected system with the help of the kit's removal tools. Ransomware threat has emerged in past few years and many victims, including local police departments, do pay ransom to the crooks to get their important and personal files back. To keep yourself safe from this emerging threat, we have a good article on How to protect your computer from ransomware malware?